Gripe water is a liquid supplement that has been used for ages to cure a variety of ailments. 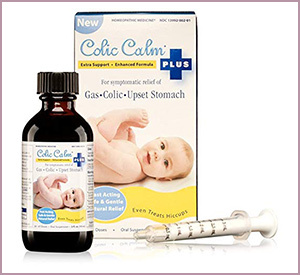 Especially useful in babies and young toddlers, it can relieve digestive issues, pain from gas, hiccups, colic, teething pain and more. Gripe water typically contains a variety of herbs and substances that work together, and it’s a favorite among parents. For the best gripe water for your child, look no further. We’ve compiled a list of the highest-quality, most-effective gripe water on the market. We judged these products based on their ingredients, effectiveness, quality, and customer opinion. With an impressive list of natural ingredients, Colic Calm has made one of the best gripe water products out there. Chamomile, ginger, peppermint, lemon balm, and aloe work together to relieve upset stomachs and colic. Can use as often as every 60 minutes, for up to 3 doses in 24 hours. Bottom line: Though the taste and staining-capabilities aren’t top-notch, this gripe water boasts a variety of hard-working, natural ingredients that stop digestive issues with ease. 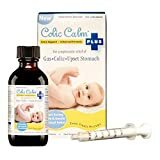 If your baby suffers from colics, you can try one of these great baby bottles for colic to offer your little one some relief. This gripe water relieves stomach and gas pains. Customers also love its ability to also cure hiccups and alleviate colic. With nothing bad and everything good, you’ll rest easy an extremely-small, active ingredient list consisting of chamomile, fennel, lemon balm, and ginger. Has all-natural ingredients, with no drugs, dyes, or gluten. Thicker, darker color than other options. 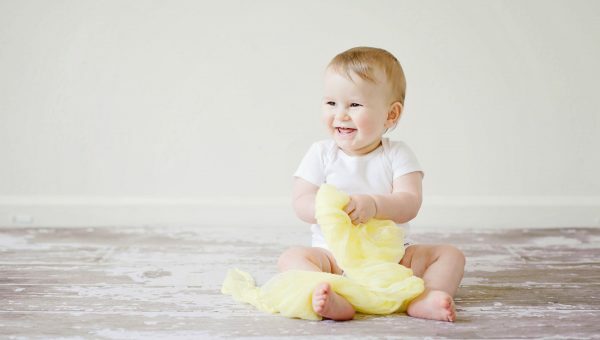 Bottom line: As one of the only options recommended by pediatricians, the Zarbee’s company prides itself on the ability to create high-quality, natural products that parents love. 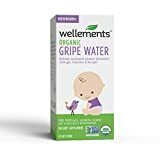 With simple, organic ingredients like ginger root and fennel seed, Wellements’ gripe water focuses on providing comfort. It can be taken up to 6 times per day, and its mandatory refrigeration helps make it easier for babies to ingest. Can be used as in newborns (less than 1-month in age). Bottom line: If you’re a parent that looks for a company with merit, Wellements’ USDA-certified doctor-recommended supplement could be the best gripe water for you. Mommy’s Bliss is known for their quality products designed for moms and babies. 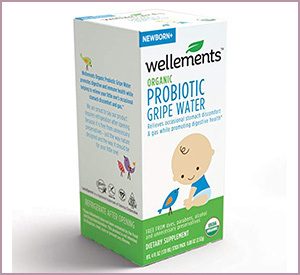 This gripe water is pediatrician-recommended and requires no harsh chemicals or substances. It contains basics like ginger, fennel, and sodium bicarbonate to help get rid of fussiness associated with stomach discomfort. Thin formula, with a sweeter taste than most. Could be harsh on sensitive stomachs. 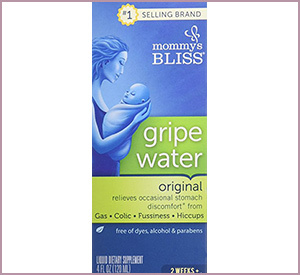 Bottom line: For parents looking for a trusted brand, this simple product by Mommy’s Bliss could be the best gripe water to try. 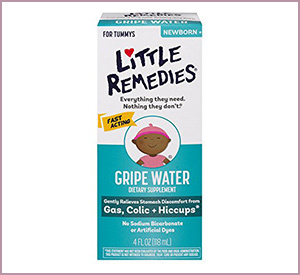 You can rest easy with this gripe water from Little Remedies. 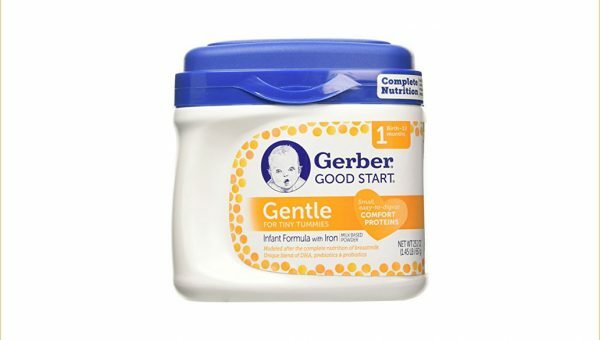 It has everything your baby needs, without any sodium bicarbonate, so it can be safely given to anyone. With organic agave, fennel, and ginger, it’s one of the best gripe water supplements available. Can be safely given to newborns, up to 6 times each day. Many customers claim it is more effective on digestive issues than colic. 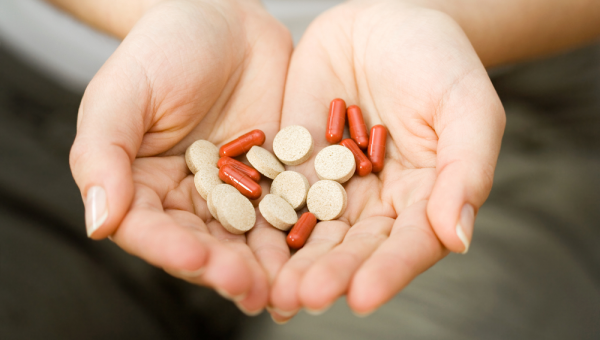 Bottom line: Little Remedies is a trusted brand that makes fast-acting supplements for babies. 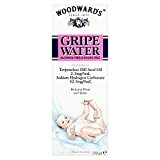 This gripe water is ideal for parents searching for the best gripe water with minimal ingredients. There is only one active ingredient in this unique formula. It may not be what you would normally envision when you think of gripe water, but the simethicone used here helps to gently break down your baby’s bubbles, gas, and indigestion to make them happier throughout the day. Non-staining, so you don’t have to worry about messes. May not work as instantaneously as other options. Bottom line: These gas relief drops may be the best gripe water option for those looking for a low-and-slow, long-term solution to gassy bellies. 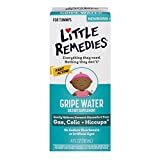 There is a ton of cool ingredients in this gripe water like the ginger and fennel extracts you would expect. In addition to the basics, you’ll find organic agave, lemon juice, chamomile, and the probiotic LactoSpore, which promotes a better immune system while your baby grows. Suitable to mix in with water. Only has a shelf-life of 30 days. 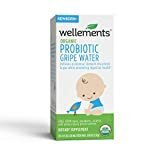 Bottom line: If you’re looking for the best gripe water that can promote health as well as prevent indigestion, this supplement could be an ideal choice for you. 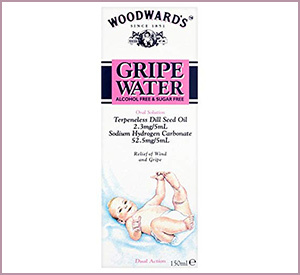 Dill seed oil is the main, active ingredient in this gripe water. It helps to relax the stomach and break down any air bubbles trapped inside. Originating from the UK, Woodward’s is a trusted brand with a traditional formula. Sweet taste makes it easier for babies to ingest. Discard date is only 14 days from opening. Bottom line: This product is great for stomach indigestion and inducing burps to release air. If your baby isn’t colicky or teething, this could be the best gripe water to try. 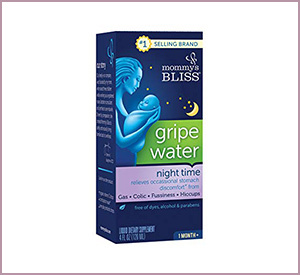 From the trusted Mommy’s Bliss brand comes the best gripe water for nighttime indigestion. It contains what you’d expect like ginger and fennel, but also contains lemon balm, passion flower, and chamomile to help baby get a restful night’s sleep. One can use it in conjunction with other Mommy’s Bliss products. Not suitable for babies less than 1-month old. Bottom line: When your child is having nighttime stomach problems, this great product can relax and soothe indigestion and colic. 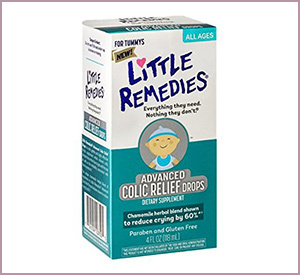 There’s no surprise that Little Remedies is one the list more than once. 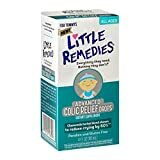 This formula contains a little more than your average gripe water, with ingredients like fennel, lemon balm, and chamomile that are able to reduce colic and crying by up to 60%. Has twice the active ingredients as average gripe water. Can only be given a few times per day. 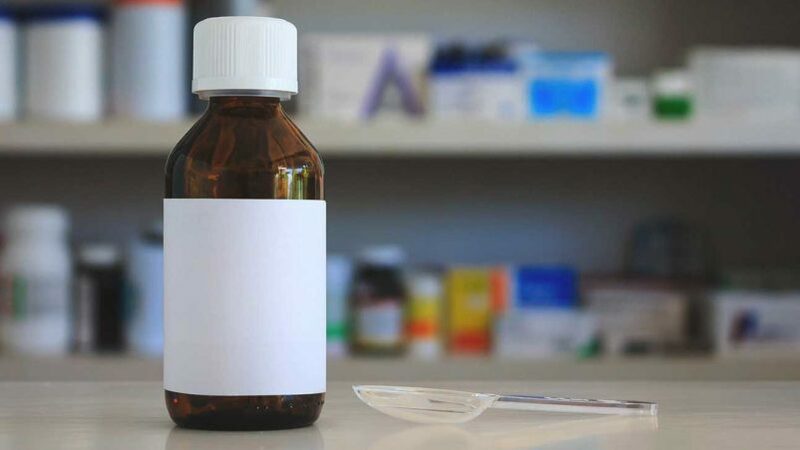 Bottom line: If you need a long-term solution or a remedy for more-severe symptoms, this advanced formula could be the best gripe water for you. Searching for the best gripe water for your baby can be difficult. With the supplements you’ve seen here today, you can help your child’s belly relax and stay healthy. Try one of these out for yourself and let us know: which is your favorite?